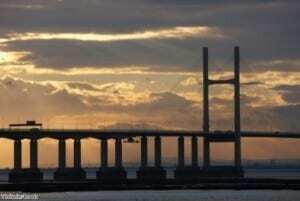 The Freight Transport Association (FTA) has welcomed the announcement that tolls for use of the Severn River Crossing are to be reduced by half when the bridge moves into public ownership. Currently, the crossing is the most expensive of its kind in the UK, with fees for users rising as high as £19.80 per crossing for the largest heavy goods vehicles. However, chancellor George Osborne stated in his Budget announcement earlier this week (March 16th) that a public consultation will be held to set a more affordable level for costs in the years ahead. In addition, the review will examine the feasibility of the introduction of a new free-flow barrier-free tolling system – much like the system that is now in place at the Dartford Crossing in south London. The Severn River Crossing is currently administered by Severn River Crossing plc, but is to revert to full public ownership from 2018. Responding to the news, FTA head of policy for the south-west and Wales Ian Gallagher commented: "As always the devil is in the detail – the chancellor has said that the tolls will be reduced when the bridges are in public ownership but this is subject to public consultation. "If the government must consult, this should be carried out prior to handover so that a reduction in charges is in place from day one." He added that the FTA would therefore urge the government to look at starting the process of free-flow technology prior to the handover in 2018.